It’s fun to re-appropriate common objects for an artistic and functional use within the landscape, but what about in the soundscape? 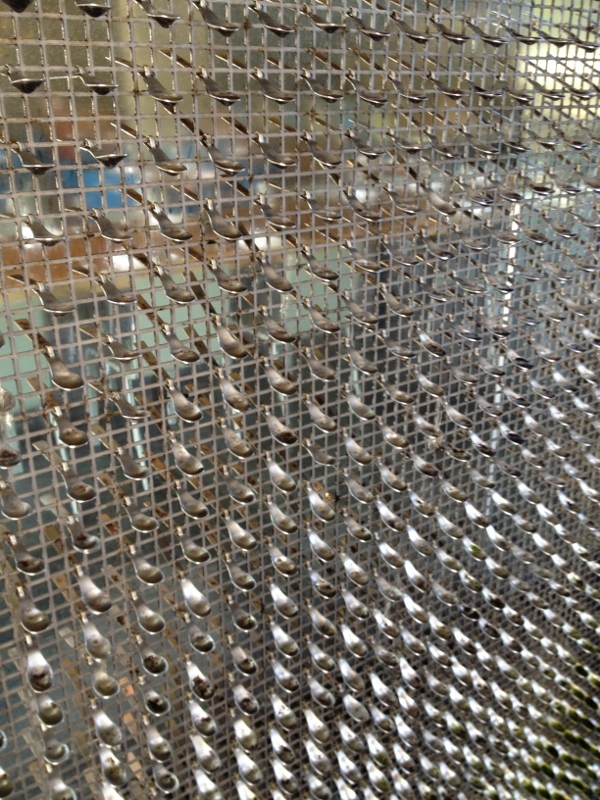 Check out this fountain made of hundreds of spoons at Spoonbar in Sonoma County’s Healdsburg. 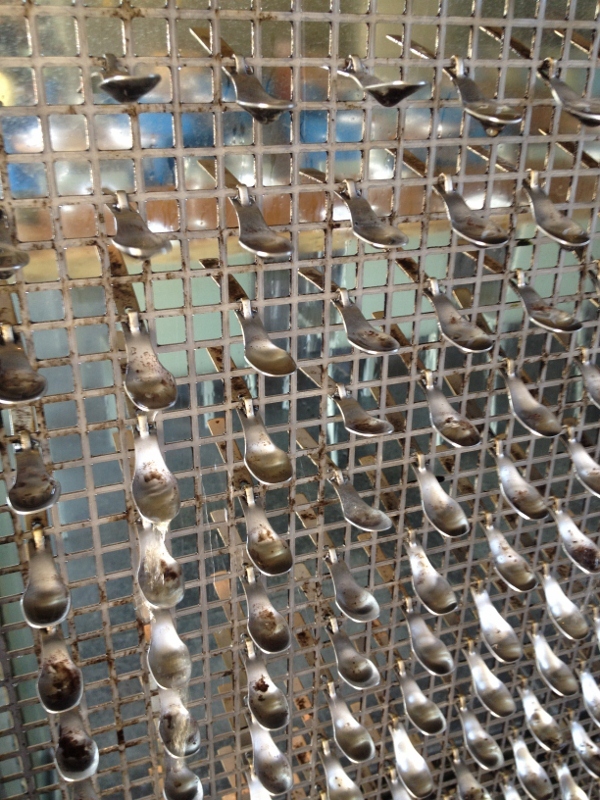 It’s a domino affect and lesson in physics, with silverware: water trickles down each spoon, causing it to tilt and drop water on the spoon below. And on, and on. There’s probably a Zen koan in there somewhere, too, but at the very least, it’s delicate sound and a striking design.